Data organizes different aspects of our lives. Most of the time, discussions of data appear in the worlds of retail and marketing, however data can also make our communities safer. From traffic to weather, data can reveal previously hidden information about various subjects. Data is also heavily used in security and police work to cut down on criminal activity. Instead of simply reacting to crime, police officers worldwide are stepping up to prevent crime before anything happens. By preventing crime, police forces can make communities safer and gain public trust. This is the result of utilizing data correctly. What is criminal justice data? Uniform Crime Reporting, or UCR, combats crime with the help of participating networks from all levels of the United States government. While the UCR started in 1930, police around the world work together to slow crime and protect the people. Regardless, data collection is similar. The data notes the incidence of particular crimes. It takes demographic regions into account including everything from population, economy, physical location and more. This is cross-examined with crime in the region throughout history. With modern technology, police can step up before criminals can make a move. In Manhattan, robbery-related crimes dropped more than 95 percent because of data use. Data helps finds the gaps in a police department. Used correctly, data can provide information for budget, resource allocation, assessment of operations and other useful information to stop all levels of crime. For the public, this means no wasted resources, better protection and an informed police force. How does UCR decriminalize areas? By preventing crime, police have reduced crime in areas such as Manhattan. 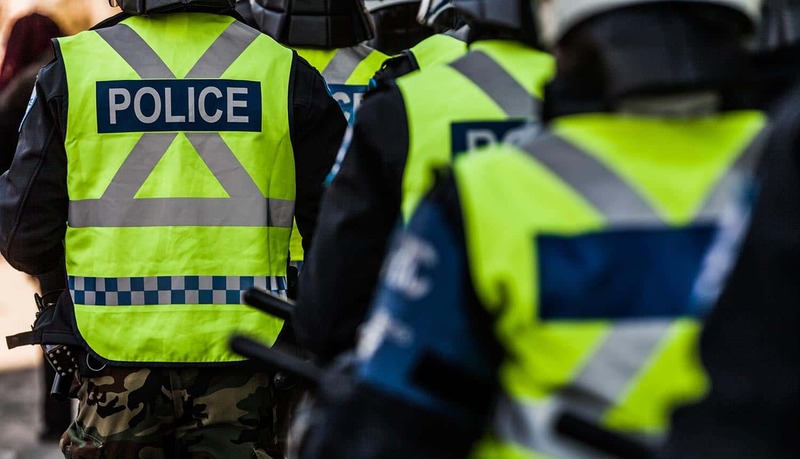 With cops going into a situation knowing if the perpetrator has access to weapons or a history of violent behavior, they can also stay better equipped to react to crime. Because of the improved information from data, police can make areas safer on different levels. More than statistics, police can see their own pitfalls and apply the help where needed. By using demographic data, they can see if they need more or fewer officers, vehicles or other equipment. While cutting down on waste and minimizing their budget, they’re also helping the community by acquiring better accuracy on how to conduct their jobs. While more goes into criminal justice data, demographic data provides a lot of context. Demographic data provides help on a local level for police to perform better at their jobs, especially if officers are new to the area. The data provides population statistics and local economic trends to make predicting crime easier. However, criminal justice data combines all types of data to use for security specifically. UCR data is used to rank different police forces so a budget can get appropriately allocated. However, rankings cannot be based on crime data alone because the nature of crimes can differ for various locations depending on demographics, geography, timing and other factors. Crime, the handling of crime and the situation of the offenses varies from place to place. Because the data is only explanatory upon deeper inspection, information can become misleading. Arrests and crimes differ depending on the severity and situation. Merely seeing the number of arrests an agency makes in comparison to others does not constitute how well or poorly they do their jobs. For this reason, police agencies shouldn’t get ranked as this would show undue favoritism. The possibility of tampering the data is high since misunderstanding is easy. There’s also the issue of data encryption. Many companies, such as Apple, encrypt personal data on devices such as cell phones to keep data private. That’s helpful for citizens who want to conceal their conversations, but a problem for police forces who want to access those conversations for criminal investigations. For instance, the FBI needed access to an iPhone in response to the San Bernadino shooting in 2015. While Apple complied with the issued subpoena and provided the information, they did not adhere to the FBI’s request for a program with the ability to bypass device security. While such a program is useful for criminal investigations, Apple was hesitant to release a backdoor to sensitive data with the potential of it getting in the wrong hands and getting out of control. With police forces having an easier job because of data, the public sees the most benefits. Police don’t waste money or equipment and can identify problems easier. By using UCR, police can do their jobs with greater accuracy. Better work means the public has stronger trust in the officers. While the UCR has been used for decades, technology and data are only getting better, so police forces worldwide can get better, too.